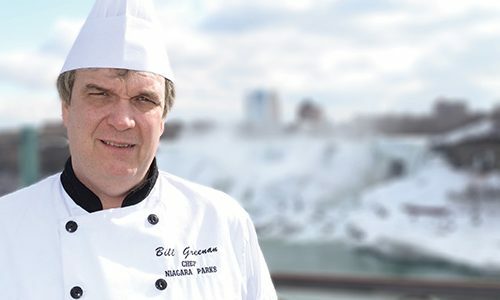 The breathtaking views of the winding Niagara River and local vineyards are matched only by the culinary creations of Chef Bill Greenan. Located 15 minutes north of the falls on the Niagara Parkway, at the foot of Brock’s Monument, Queenston Heights Restaurant is open seasonally to the public for its award-winning Sunday brunch along with light fare and beverages on the patio. Feast On, a program by the Ontario Culinary Tourism Alliance, certifies restaurants that are champions of Ontario food and drink. 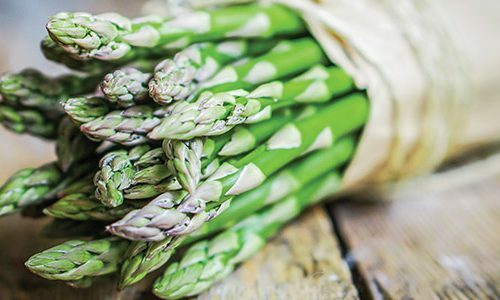 By dining with Niagara Parks Culinary, you help to support the many growers, producers and craftspeople that make up the province's strong food and agricultural sectors. Our Smoked Chipotle Chimichurri Marinated Skirt Steak touches all parts of the palette. A maple-sesame vinaigrette is tossed with local produce and is topped with spicy marinated tender skirt steak that melts in your mouth. Perfect with a glass of Niagara VQA Riesling. Enjoy brunch with family and friends on Easter Sunday at one of our Feast On certified restaurants. Upper level of the restaurant is accessible. Stairs down to lower level.